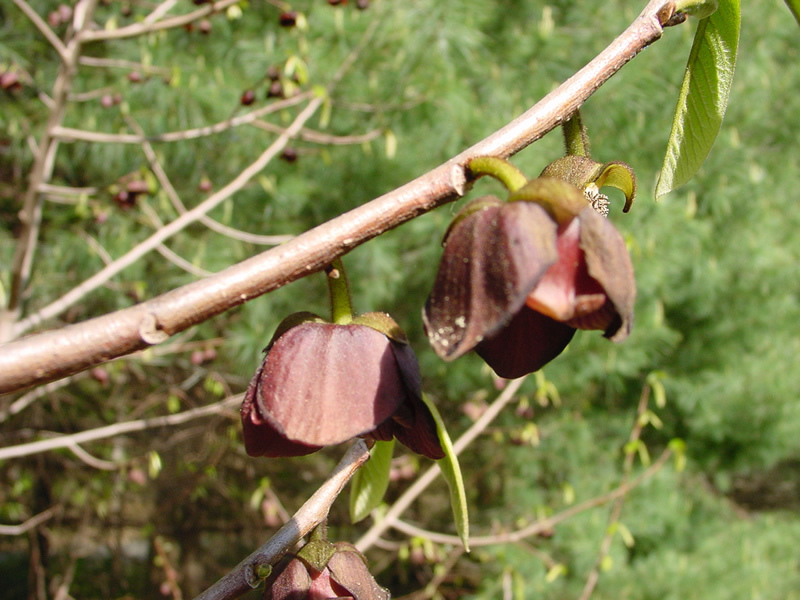 The pawpaw is one of the more exotic looking trees native to this region. This understory tree was once common across our landscape but years of clearcutting have all but removed it from its natural setting. It is prized for a combination of traits that give it all-season interest. In May, it displays showy, deep reddish-purple flowers that give rise to large, custard-like edible fruits by the end of summer. It is in its full glory in fall as the green leaves change to bright yellow. 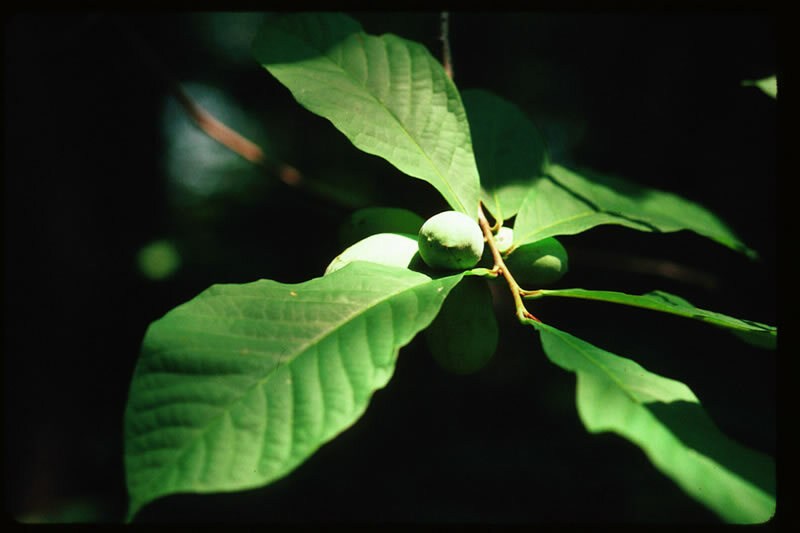 Grown in moist, well-drained, fertile soil, the pawpaw spreads to form a grove. 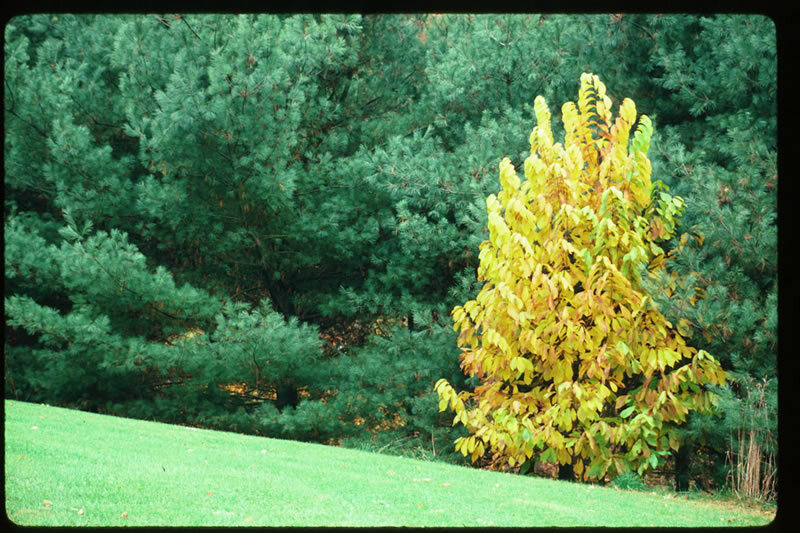 It has soft wood and needs protection from the wind, making it an excellent choice as a woodland edge tree. Planting these trees in full sun will enhance their fall color and allow for greater fruit production.